CRES (Christian Rural and Environmental Studies) is a distance learning course usually taken over two years, which A Rocha UK has partnered with the John Ray Initiative in managing since 2013. It provides an opportunity to study rural and environmental issues from a Christian viewpoint. It will be of interest to all with a personal or professional concern for the environment and countryside, rural communities and churches. 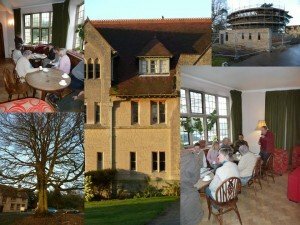 There are no entry requirements, and is validated by Ripon College, Cuddesdon. It involves both reading and essay writing, a practical project and two residential weekends. A number of the A Rocha UK team and supporters have already completed the programme and found it very useful in strengthening their theological understanding whilst relating it to their practical activities. Tutors are found to fit the interests and location of the participants. Further information is available on the CRES website.